Caramel Latte : A delightfully smooth and creamy latte with sweet caramel undertones. The ultimate indulgence. This product has no detectable gluten, but contains milk proteins and may contain traces of soy. Our house is a busy house so coffee is a must. We are always looking for yummy addictive flavours. Sadly though this isn&apos;t addictive for me. Love my coffee don&apos;t get me wrong. This had its good qualities to it like was a great amount of coffee powder per sachet and the price is amazing. The packaging is gorgeous anything black always is. Easy to read and not over crowded with words. It&apos;s a smooth coffee. I dislike wafers and first sip of this coffee was like I was eating wafers. After 3 or 4 I was still getting the same taste. Hubby tried it and said he didn&apos;t know what I was on about. 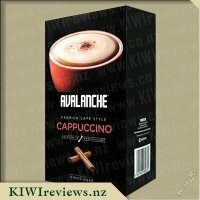 We have tried the Cappuccino ones of these and they weren&apos;t to bad. So don&apos;t know if it was just the caramel flavour or what it was. I love caramel anything so was looking forward to trying this when I opened box and saw it. Was a tad let down but that&apos;s just me everyone is different. Someone else will try it and go she&apos;s weird no wafer taste. Was hoping people would visit me so I could get their opinion but no one did. Would recommend to others as my dislike wasn&apos;t a major thing still think it&apos;s a great product. For me coffee is life and having recently faced a rather tight budget, I am missing my cafe coffees that used to be a daily staple for me. This, of course, means looking for a suitable replacement. I think I&apos;ve found it! 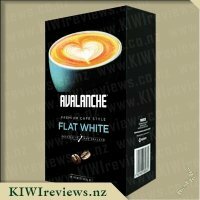 I&apos;m already a fan of the Avalanche brand having been a regular user of the espresso coffee so I was very happy to find that the sachet coffees lives up to the same quality. I have quite the sweet tooth and the caramel flavour satisfies that nicely but without the high calorie count of cafe mochas etc, only 72 calories making it an "affordable" treat for those watching their calorie intake. 8 grams of sugar does make it more of a treat than an everyday coffee. It mixes up with a nice foam on top so it feels like a "real" coffee. The coffee also dissolved well upon stirring, not leaving any of those little, undissolved lumps that no one likes! It also has a nice aroma and really does have the smooth, creamy texture as advertised. I honestly felt like it had that cafe coffee feel. This is absolutely one of the best sachet coffees I&apos;ve had an will be buying it again as a sweet treat. Anyone that knows me will also know that I am a little more than slightly addicted to coffee, it&apos;s my vice 1, 2 even 3 times a day, so any opportunity to get another hit of caffeine is something I will jump at the opportunity to do. 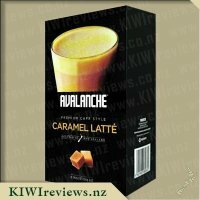 While I do not have the "sweetest of tooth" I have in days gone past loved adding a caramel shot to my latte so I was hopeful that I would get that similar hit of caramel flavour from this Avalanche Caramel Latte sachets. I was not disappointed, the flavour was great, texture and froth lovely and caffeine level spot on. What I love about this beyond just the flavour, which alone would be enough to have me hooked, is the convenience of having great coffee at your finger tips anytime of the day without having to head off to a cafe or be subjected to the awful stuff they call "coffee" that comes from the overused and foul tasting work coffee machine. The sachet size is great and I have even found myself throwing a couple in my handbag along with a flask of boiling water so I can enjoy a lovely caramel latte while I am on the road - being able to stop at any picturesque location I choose to sip and relax definitely has its perks. 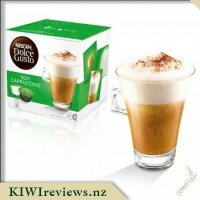 Overall as far as "instant" type coffee goes this would have to be one of the best I have had and will absolutely be in my shopping basket when I am looking for a sweet hit and the convenience of just needing to boil the jug and enjoy. 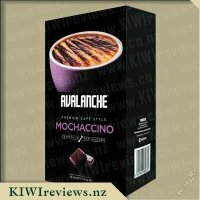 As mentioned in my review of Avalanche Cafe Style Moccachino I am not a big sweet tooth like I used to be since cutting sugar from my diet so often when I have a drink these days with high sugar content I find it difficult to drink. 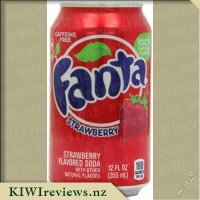 One of my favourite things to drink if I were to have a sweet treat is a coffee like this as I am not a fan of fizzy drinks preferring a warm creamy drink. My 15 year old daughter is not allowed to consume a lot of caffeine but I do allow her a caramel latte as a treat as she enjoys the taste. When this box arrived to review I made us both a mug to drink, she loved it she said it was sweet and didn&apos;t taste too much of coffee so it was like having a caramel hot chocolate. I think at this point she would of liked to hide the box so I didn&apos;t drink any more of them. I myself found it quite sweet which I hadn&apos;t found with the mocha so would of probably preferred more of a coffee taste. The caramel came through quite strong and I think it naturally is quite a sweet flavour. Like with the other varieties I was impressed with how it dissolved with the hot water as there is nothing worse than the sachet style coffee&apos;s that don&apos;t dissolve leaving you with horrible lumps. I loved how on stirring into the hot water you are definitely left with a creamy cafe style coffee like it has been made with freshly frothed milk it does leave you feeling like you have had a fancy coffee at home without any fuss! 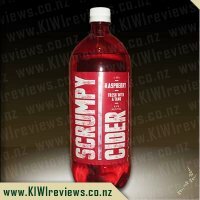 One sip of this variety and I was hooked. 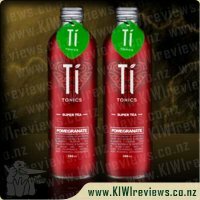 I did not need to add sugar or any other flavour enhancer - it is perfect just the way it is. 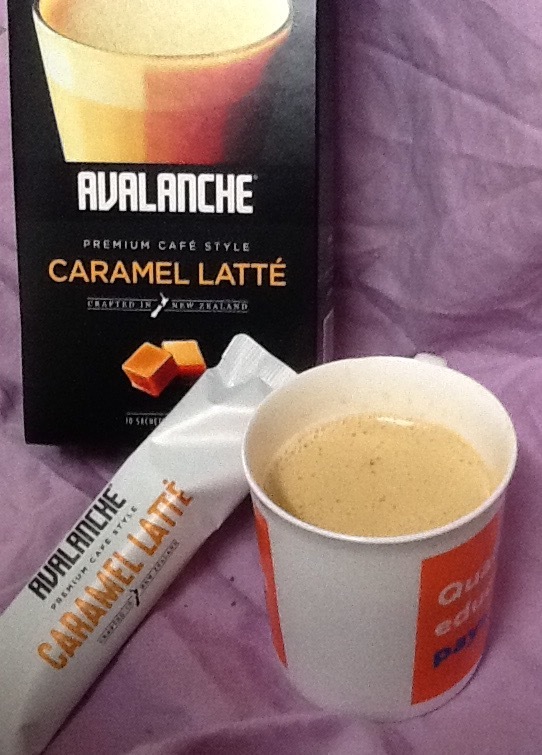 Caramel is one of my favourite flavours anyway so I was keen to see if it worked with coffee, and it certainly does. This is one variety I will be going out of my way to find. I actually liked it so much that I had a second sachet an hour after I finished the first which is something I would never normally do. Well, not unless the coffee is exceptionally good! 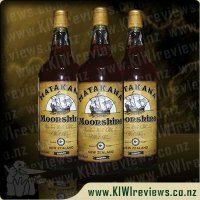 However, as we all know too well, different people have different preferences, and that was the case with this drink too. The comments that came from the friends who had kindly offered to do a taste test for me varied from "elegant coffee candy" to "odd taste and quite weak". I guess it takes all sorts! But the positive comments greatly outweighed the negatives. Everyone agreed on some things however. Almost everyone described the texture as creamy and commented on the caramel taste which they all really liked. I thought the caramel came through quite strongly and lifted the drink from the ordinary to something quite special. 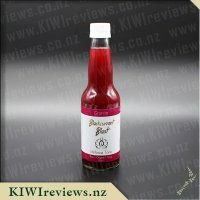 I also liked the fact that the drink is sufficiently sweet (it contains both plain sugar and caramelised sugar) so there is no need to add any extra. 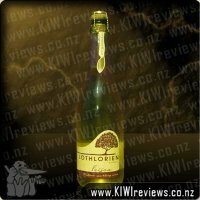 We had the coffee with some plain gingernut biscuits, mandarins, and crudites with a lemon and dill dip; this was an ideal accompaniment as food of this sort is not too rich. 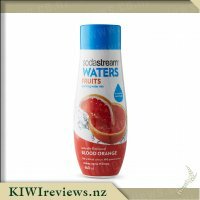 I think it would be overkill to serve such a creamy drink with rich food as it would not be so good for the digestion, and it would be a shame to spoil the effect. I plan to pack a couple of sachets to enjoy at work. I refuse to drink the cheap powdered coffee served at my workplace: I am not fussy about most things, but coffee is the exception. What is life without a decent caffeine fix? I take my own coffee bags for my usual black coffee, but now that I have discovered caramel latte I will alternate the two so that I get the best of both worlds. Sachets are a convenient way to take your favourite drink with you when you are away from home and cannot fit a coffee machine in your computer bag! Our Ginger and Honey Cordial with Lemon is a real must for winter. It arouses the senses and leaves a gentle tingling in the throat. At Aroha we source everything as locally as possible because we believe that the quality and flavour is better; our honey is produced by the bees which pollinate elderflower on the Canterbury Plains and our lemons are bought from the local market and juiced by hand.